In Star Wars-The Phantom Menace, we know in the podrace that there are several competitors. We know that that Anakin's podracer can travel to a speed of up to 895 km/h (I think that is the maximum speed), and he is filmed sitting in his podracer racing inside it across the desert landscape of Tatooine. When he is racing, he is racing at around 895km/h. The race is shown over some type of closed-circuit broadcast to the fans at the pod race (see 0:57 in the clip below). How can racing at this speed be filmed for broadcast to the fans (in-universe)? Cam droids were also used to capture sporting events like Podraces, and their recordings would be transmitted to the public HoloNet or portable viewscreens. Camera Droid capable of flying 1,000km/h? They have missile droids after all. Recording speed: At worst you'll end up with a blurry image (flying too fast for recording) or you're overexposing (basically topping the speed of light). Both are a non-issue in-universe I guess since the Earth moves faster and we can still record the night sky. Speed of the observer: This shouldn't be a problem either. When you're capable of building droids in the shape of spaceships or missiles, which are capable to steer etc. it's just a tiny additional step to add a camera to them. 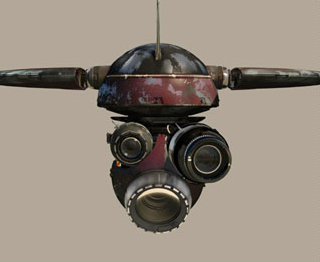 Also I'm not 100% sure right now, but I think I remember seeing some actual spheric camera droid following people. It's been a while, so might confuse it with one of Darth Maul's seeker droids though. Not the answer you're looking for? Browse other questions tagged star-wars the-phantom-menace . How did they film the Titanic splitting in half with all the actors on it? How did Darth Vader learn Luke was his son? How come Anakin Skywalker is too old to train in Jedi way and Luke gets a free pass? Is the Pod Racing location real? Why did they decide to continue with the Skywalker Saga? Why didn't Anakin's left podracer engine not fry and then stop working altogether? When did Palpatine know he was going to pursue Anakin Skywalker to be his new apprentice? How did Rose and Finn conclude that they only need to sneak onto the lead Star Destroyer? How could Anakin Skywalker become so dark?